The day after Watoto the elephant died at the Woodland Park Zoo in August, advocates gathered for a vigil outside the zoo to demonstrate their support to send the two remaining elephants to a sanctuary. Although the zoo has maintained that the elephants were healthy, Watoto’s collapse seemed to confirm advocates’ arguments that zoo life is inherently unhealthy for elephants. I attended Watoto’s vigil and the demonstration outside the zoo. As I stood alongside 60 Seattle residents peacefully voicing their conscience, a man in a passing vehicle shouted, “Get a job!” as if to denigrate us for expressing concern. That driver’s anger was directed at a protester who replied, “I’m a retired zoo-industry employee of 35 years.” She was standing alongside teachers, lawyers, parents, engineers, artists, business and nonprofit professionals and reporters who were all gainfully employed. People from all parts of society can and will stand up for animals. 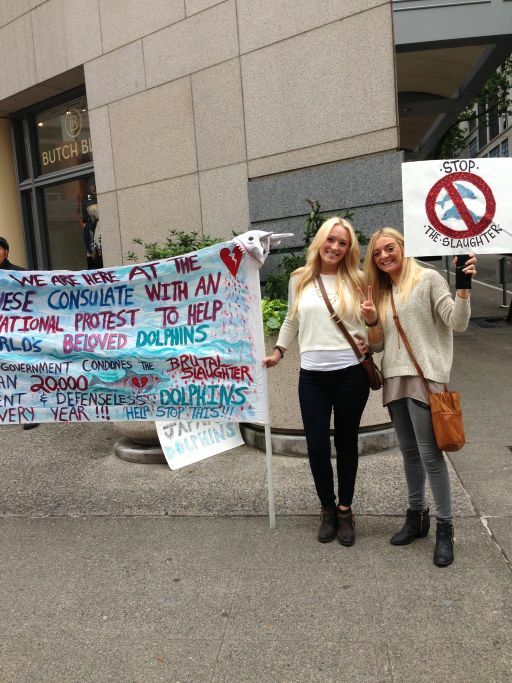 This September, demonstrators gathered outside the Japanese embassy as part of a worldwide, annual protest against the dolphin slaughter and capture in Taji, Japan. “Sixteen thousand people took part in 117 protests last year,” accounted Seattle resident Franziska Edwards, speaking of the simultaneous protests held around the world. The events are held at marine parks to discourage attendance and at Japanese consulates to hold the Japanese government accountable, Edwards explained. Queen Anne resident Claire Humphrey also attended, though she had never protested for animals before. After Humphrey saw the documentary “The Cove” and learned more about the threats to dolphins and ocean mammals, she has decided to get more involved. “Attending the demonstration was a step in the right direction,” Humphrey said. Fall is a perfect time to get involved and let your voice be heard for animals. Protests, demonstrations and marches are taking place throughout the region. Every year, a circus comes to town to display elephants and other captive wild animals by forcing them to perform tricks for amusement. Local residents Jim Becker and Doug Armstrong, volunteers with the Northwest Animal Rights Network (NARN), are helping people understand the consequences of attending the circus. “A day at the circus for your family constitutes a lifetime of misery for the animals,” Armstrong said. New Metro Transit bus ads will remind people of this message and to not attend the circus. Becker and Armstrong are coordinating demonstrations at each of the performances of Ringling Brothers Circus in Kent and Everett this September. You can help educate the public and let your voice be heard against animal cruelty by attending a demonstration. Visit www.narn.org/circus/ for dates and times, and check out the Pacific Northwest Against Circus Cruelty Facebook page. While elephants suffer in circuses and zoos, they are also at risk in the wild. Oct. 4 is the Global March for Elephants and Rhinos, and concerned citizens will gather in Seattle’s International Children’s Park (700 S. Lane St.). Co-organizer Nicki Aloisio explained that an elephant is poached every 15 seconds for the ivory in her tusk, and every nine hours a rhinoceros is killed for her horn. Animal advocates expect that by 2025 wild elephants and rhinoceros could be wiped out. The brave individuals who attend demonstrations, rallies, marches and protests are just as busy as you and me. They have full-time jobs and many are raising children, but they know they must show up for an hour or so and speak out if they expect an end to animal injustices. In the United States, we depend on demonstrations to move our society away from the status quo. Our history of progress from civil rights and LBGT equality to environmental conservation and animal rights depends on demonstrations to bring hidden issues into the light of day. While this transition is rarely comfortable, it is absolutely necessary and is often the primary catalyst for change to help humans, animals and the environment. CHRISTIE LAGALLY is a writer and the editor of Living Humane, a news site providing articles, op-eds and podcasts on humane-conscious lifestyles at livinghumane.com. To comment on this story, write to CityLivingEditor@nwlink.com. The evidence against keeping elephants in captivity keeps mounting. Recent findings published in the “Proceedings of the National Academy of Sciences” show that elephants can distinguish between different human languages and discern whether men or women are speaking in a recording played for the herd. Multitudes of studies like these over the last 30 years have led us to the undeniable conclusion that these creatures are thoughtful beings with independent intelligence and vast awareness. Wild elephants live in close-knit matriarchal family groups and need a warm climate and wide-open spaces to roam. These are just some of the conditions that can never be met for elephants that are held in captivity in zoos and circuses. 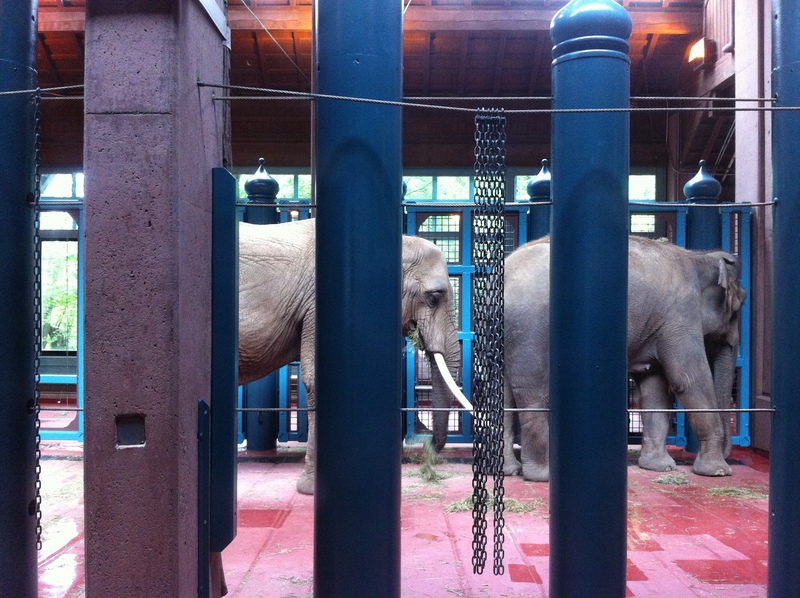 Like the evidence against keeping elephants in captivity, the calls from the Seattle community to retire the elephants at Woodland Park Zoo (WPZ) to sanctuary also are mounting. 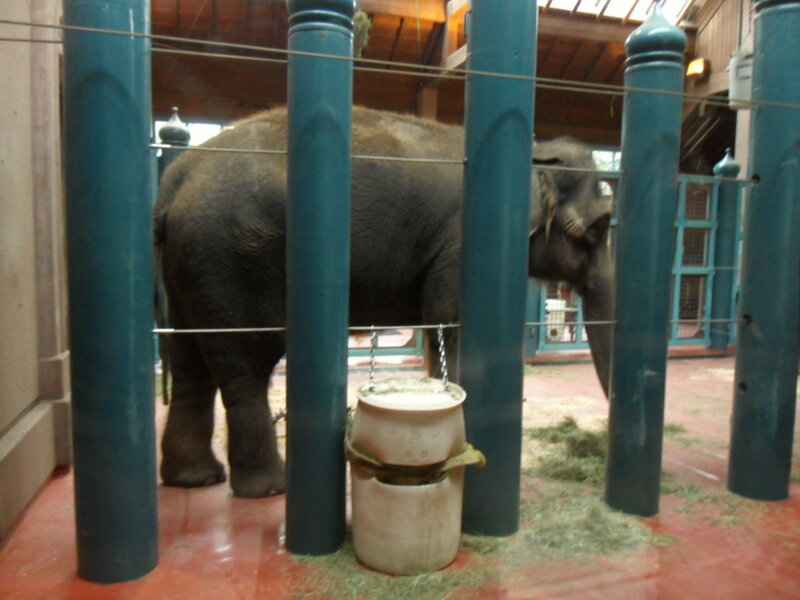 In December 2012, The Seattle Times published a two-part exposé on the horrific conditions for elephants in zoo and circus industries, including at WPZ. Since then, the Times has published four editorials calling on WPZ to retire elephants Chai, Bamboo and Watoto to sanctuary and chastising WPZ for its relentless and abusive elephant-breeding program. 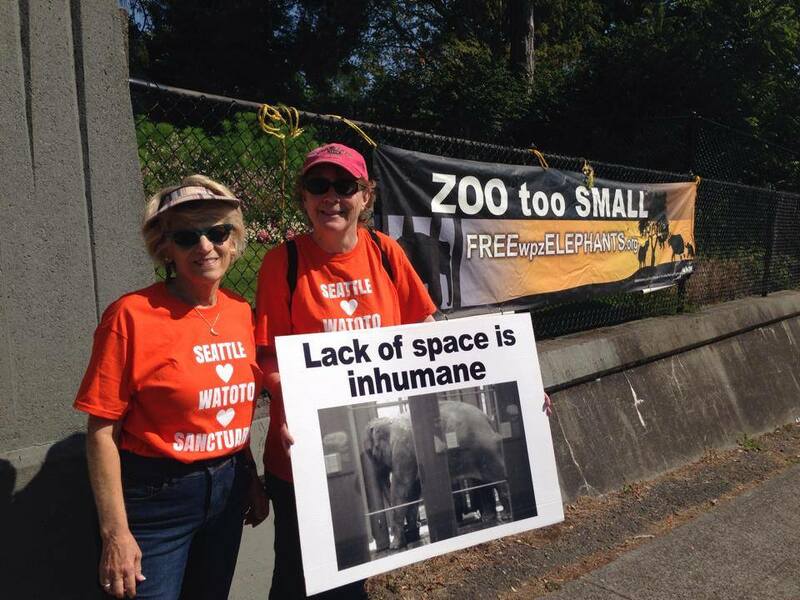 For the last decade, The Seattle Times has published countless letters to the editor from citizens who empathize with the plight of the WPZ elephants and want them retired to sanctuary. Further, a recent survey commissioned by Friends of Woodland Park Zoo Elephants shows that 62 percent of Seattle voters believe the elephants should be moved to a sanctuary immediately. Yet, 16 months after The Seattle Times articles and as of this printing, there are no public plans by WPZ to retire the elephants or improve current conditions. The City of Seattle contracts with the Woodland Park Zoological Society to run the zoo. The zoo receives approximately $6 million per year ($6,478,611 reported on 2012 income statements) from the Seattle City General Fund and an additional $4 million per year ($3,983,460 in 2012) from the King County Special Property Tax Levy. Hence, taxpayer dollars account for approximately one-third of the zoo’s total annual budget of around $30 million. The zoo’s elephant program costs approximately $787,470 per year, according to Task Force documents. With one-third of the zoo’s income coming from taxpayers, it is reasonable that public input on the ethical decisions of keeping or retiring these elephants to sanctuary should be voiced, heard, considered and immediately acted upon. In recent months, a new organization has formed to help local residents voice their support for elephant retirement. The Community Coalition for Elephant Retirement (CCER) seeks to unify, and therefore amplify, the voices of citizens who support sanctuary retirement for Chai, Bamboo and Watoto, and I, too, have lent my voice to CCER’s cause. CCER’s message is simple in that we as a community are calling on the WPZ to start making plans to move Chai, Bamboo and Watoto to a sanctuary accredited by the Global Federation of Animal Sanctuaries. CCER is asking the community —including you, me and our friends and neighbors — to give a shout-out for elephant retirement just like The Seattle Times editorial board and our community leaders have already done. CCER is making this advocacy very easy: Simply go to Facebook and “Like” the CCER page to add your name to the list of supporters. Every “Like” counts to help the zoo understand that compassion for the plight of captive elephants is truly a community value. Also, visit the CCER webpage at http://www.elephantretirement.org to learn about Chai, Bamboo and Watoto and how to get involved and make sure the voices for the elephants are heard. Undeniably, it’s time to move these precious three souls from their rainy, one-acre exhibit at the Woodland Park Zoo, to live out their lives as permanent snowbirds in a sunny sanctuary. It’s time for them to retire. To date, 27 zoos in the United States and Canada have closed or plan to close their elephant exhibits for the same reasons that apply to Seattle’s WPZ exhibit. As a community it has always been our job to call out and rally against injustice, cruelty and abuse. Seattle has faced many such challenges in the past and has shown that when a community advocates for the voiceless, the community benefits — even when it means a diversion from the status quo. CHRISTIE LAGALLY is a writer and the editor of Living Humane (livinghumane.com). She also writes the blog “Sniffing Out Home: A Search for Animal Welfare Solutions” (www.sniffingouthome.org). According to Seattle City Councilmember Sally Bagshaw, this article prompted an enormous number of e-mails to her office from folks concerned about the elephants and calls to send them to a sanctuary. Since then, the Zoo board announced a task force to look at the issue. Its second meeting, held this May, covered the topic of sanctuaries, including issues of facility space and breeding policy. 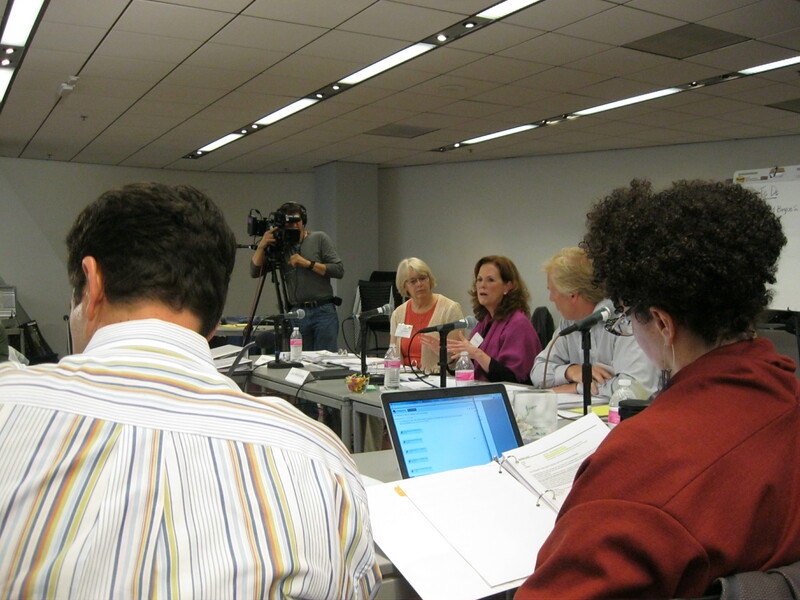 The task force began by hearing from Kristin Vehrs of the Association of Zoos and Aquariums (AZA), the accrediting body for zoos. Vehrs emphasized the AZA requires zoos to have three or more elephants to meet the animals’ social needs. I later learned that at least 20 zoos, including Point Defiance Zoo in Tacoma, have only two or even one lonely elephant, yet maintain their AZA accreditation. Closer to the topic of sanctuaries, Jackie Bennett of the Global Federation of Animal Sanctuaries introduced its organization as the accrediting body for sanctuaries. The Global Federation works with animal sanctuaries worldwide. Such elephant sanctuaries in the United States are located in warmer, drier climates and have wide-open spaces measured in the hundreds to thousands of acres, in contrast to the divided one acre available to Watoto, Bamboo and Chai. In a sanctuary, elephants are free-roaming and live in social groups of their choosing. Yet, in Seattle, Bamboo and Watoto are incompatible and are managed so one of them is always kept solitary, which is considered cruel for a female elephant. The WPZ elephants are kept in barn stalls 16 to 17 hours a day for more than half of the year due to our climate. The task force later heard from representatives of two elephant facilities — the National Elephant Center (NEC) and Riddle Elephant and Wildlife Sanctuary (REWS) — about their facilities in Florida and Arkansas, respectively. Nicole Meyer of In Defense of Animals (IDA) clarified for the task force that “true sanctuaries” are those that do not participate in breeding elephants so as not to place more animals into captivity. The Global Federation only accredits sanctuaries that do not breed animals for captivity. Both NEC and REWS either support zoo-breeding programs or actively pursue breeding of elephants in captivity. In contrast, the Performing Animal Welfare Society (PAWS) and The Elephant Sanctuary in Tennessee do not condone captive breeding and allow the animals to live freely in the sanctuary without being managed with bull hooks, according to Meyer. PAWS representatives were invited to speak but declined in a letter explaining its elephant sanctuary program. The Elephant Sanctuary in Tennessee was not asked to present to the task force, according to communications manager Angela Spivey, who confirmed that she was prepared to speak that evening but was not included on the agenda. This was unfortunate because, in considering the future of Watoto, Bamboo and Chai, it is vital to present the perspective of a sanctuary that does not breed elephants. It is important to ensure that Chai is never subjected to a breeding program again and that she lives in a place where no other elephants experience her past trauma. The question of whether the elephants should be relocated to a sanctuary is quite simply, yes. Animals evoke deep emotions in us, and many people may feel it would be a loss if Watoto, Bamboo and Chai went to live in a sanctuary. But Berens’ article provided us with knowledge of animal suffering that our community cannot ignore. I am hopeful that this task force will help us, as a community, to change the mindset that only health exams by zoo veterinarians or compliance with AZA standards can fully inform us about the well-being of elephants. Many North American zoos are closing their elephant exhibits based on lack of space and research showing that elephants are deeply emotional, self-aware and social beings. Members of the task force have a wonderful opportunity to help transform the WPZ programs that confine elephants into humane education programs based on the knowledge we have gained that ultimately helped us to see that elephants need to be wild and free. For more information on the Woodland Park Zoo Elephant Task Force, visit elephanttaskforce.org. 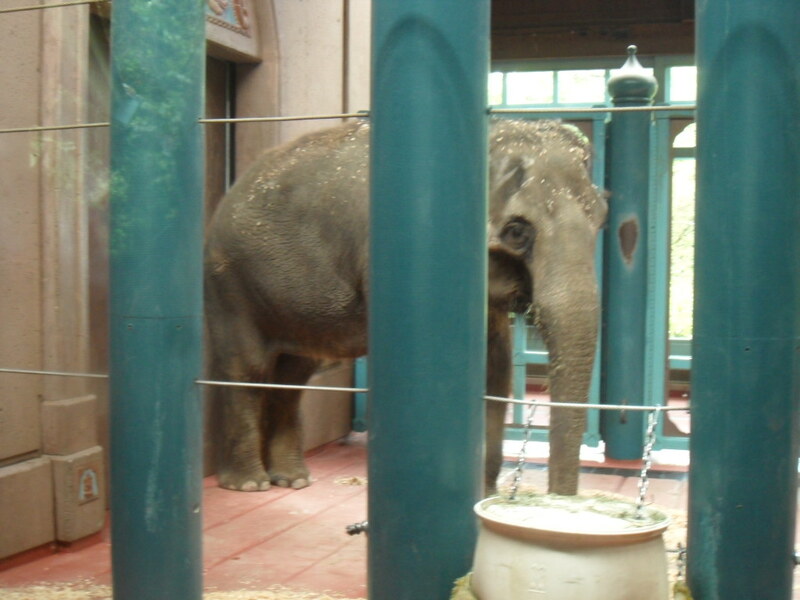 For local advocacy information, visit Friends of Woodland Park Zoo Elephants at freewpzelephants.com. CHRISTIE LAGALLY writes a blog called “Sniffing Out Home: A Search for Animal Welfare Solutions” at http://www.sniffingouthome.org and is host of Living Humane on KKNW 1150 AM (livinghumane.com). Also see David Hancock’s article. Seattle teach-in on elephant advocacy is this week! An Elephant Teach In will be offered at Phinney Neighborhood Center on Thursday June 13 from 6-7pm. Topics include: comparison between behaviors of wild elephants and the elephants at Woodland Park Zoo; action steps for concerned citizens; resources for further information on elephants in captivity. The intention is to provide the public with information, resources and advocacy direction.